Comodo is a well-respected name in the internet security industry. This company offers many options for those looking for a reliable SSL certificate provider, from EV to UC to Wildcard SSL certificates, Comodo’s SSL certificates cater to both small and large online stores. Comodo SSL offers a range of features, such as fast certificate issuance and validation, 256-bit encryption, trusted by 99.9% of browsers, 30-day money-back guarantee, free “Trust Logo” that helps boost conversions and trust. Their SSL certificates are priced competitively and Comodo’s cheapest SSL certificate is 7.27 per year. Comodo Group Inc. is a tech services company that was founded by Melih Abdulhayoglu in 1998. It’s based in New Jersey, USA, and deals mostly with the development of Internet and PC security software. Since inception, Comodo has grown to become a leading global SSL provider. The company operates in more than 100 countries and according to a report published by W3Techs, Comodo boasts a market share of 33.6% (as of February 2015). Comodo invented the first Extended Validation (EV) SSL certificate, which was officially ratified in 2007. As a result, Comodo has won several awards and received positive recognition from the media for their efforts to make the Internet more secure. Try Comodo. Money back guarantee. Founded by Melih Abdulhayoglu in 1998. Comodo Group Inc. is a tech services company that has been around since 1998. It’s based in New Jersey, USA, and deals mostly with the development of Internet and PC security software. If you’re looking for a secure encryption service for your e-commerce website, here’s what Comodo has to offer. Comodo SSL. Fast online automated validation. 30-day-money-back guarantee. SSL is a security technology that establishes an encrypted link between a web server and a browser. This has a number of key advantages for small businesses including data security as it establishes an encrypted link between a web server and a browser. There are several Comodo SSL certificates from which to choose. Each plan offers different features but certain common offerings cut across all plans. For example, with every Comodo SSL certificate, you’ll get 256-bit digital signatures, an encryption services with 99.9% browser recognition, a secure https:// URL, and the secure padlock logo on the address bar. Comodo issues the seal of SSL certificate that you can upload on your website. The seal logo uses what Comodo calls “point to verify technology”. So, whenever visitors hover their mouse pointers over the seal, a pop-up message will appear showing real time verification of your business credentials. While we know what it does in terms of benefits and functionality, not many people know how it works under the hood. You might’ve heard about public and private keys when reading about cryptocurrencies – or not. The 30-day free trial is worth signing up for if you’re considering whether to make Comodo your SSL provider of choice. Once the free SSL certificate is installed on your website server, the golden padlock will appear alongside your domain name and visitors will not get security warnings when trying to access your website. As for the paid SSL certificates, Comodo offers a few extra features depending on the chosen plan. Subscription prices vary depending on the chosen digital certificate. In addition, the billing cycles offered are quite flexible as subscribers have the freedom of choosing to renew SSL certificates annually, bi-annually or after 3 years. Video above: Every day trojans generate approximately 1 million hostile software packages. Since malware can’t be blocked 100% of the time, what’s Comodo’s solution? Watch to find out. What Types of SSL Certificates does Comodo Offer? Comodo SSL certificates have three validation levels: Domain, Enhanced, and Organization. The Domain validation assures that that you’re the lawful owner of your domain and certificate. Enhanced Validation SSL certificates offer the highest level of trust by displaying the green address bar that lets visitors know your website is trustworthy. Organization validation means that your SSL certificate will be issued after a background check is done on your business profile. The Comodo Free SSL Certificate is ideal if you wish to test out the Comodo SSL service for 90 days without paying a cent. The certificate is issued within minutes and comes with the highest strength 2048 bit signature and 256-bit encryption. You can also use it to test your new site’s SSL Security Certificate before it goes live or your online business can stay secure if your current certificate is due to expire. The Comodo SSL Certificate is the company’s standard SSL certificate. The company claims that this is the quickest and most cost-effective way for an online business to protect customer transactions. The certificate comes with 2048 bit industry standard encryption. The Extended Validation (EV) SSL certificate was originally developed by Comodo. This 256-bit digital certificate thwarts phishing attacks and strengthens e-commerce security. It takes about 1 to 3 weeks to acquire because the Certificate Authority (CA) requires extensive verification of the requesting entity’s identity. Once acquired, this digital certificate displays the green address bar that comes with the padlock logo and the “Trusted” wording label. This visual assurance lets web visitors know that they’re on a secure site. The only downside with this security certificate is that it can only support 1 domain. However, it’s the highest level of encryption that Comodo offers. Comodo issues the Unified Communications (UC) SSL certificate within an hour after application. This 128/256-bit UC SSL certificate is a great choice for organizations that use a Microsoft Exchange 2007 or higher Office Communications Server environment. Unlike the EV SSL certificate, the UC SSL certificate facilitates secure communication between multiple domains. It also features the AutoDiscover service, which greatly reduces administrative complexity and cost. You can only cover 3 fully qualified domain names (FQDN’s) with the basic UC Comodo SSL certificate. While it’s possible to add up to 100 FQDNs, an additional charge will be incurred per additional domain beyond the initial 3. Comodo also issues Enterprise, Instant, and SGC Wildcard SSL certificates. Wildcard SSL certificates secure 1 domain and unlimited sub-domains with a 256-bit encryption key. Therefore, you don’t have to incur additional fees to encrypt sub-domains on your website. The Wild Card SSL certificates have all the standard security features that Comodo offers such as the secure https:// URL, free TrustLogo site seal, and lock in the address bar to improve confidence amongst web visitors. Video above: Valkyrie is a real-time threat detection option. It’s described as a “cloud-based file analysis platform” that works in conjunction with Comodo’s 360 solutions. All Comodo SSL certificates are backed by a 30-day money back guarantee and Comodo’s warranty policy. You’ll also receive unlimited server licenses when subscribed to either the Wildcard or multi-domain certificates. Wildcard SSL certificates come with one year of free PCI scanning and a free daily vulnerability scan for your website. When it comes to safety and security, Comodo’s SSL certificates do not disappoint. Comodo exceeds the minimum industry standard of 128-bit encryption since it issues 256-bit SSL certificates, which provide the highest encryption strength for your website. Do I Need an SSL Certificate for my E-Commerce Website? SSL technology is vital for e-commerce websites. Potential buyers are unlikely to trust your site if you don’t have one. An SSL certificate allows customers to know that they are dealing directly with your website and not a phishing scam. SSL also allows for encrypted transactions and data security thanks to encryption. Here are some of the benefits of using SSL on your e-commerce site and how it can benefit you. Aside from selling SSL digital certificates, Comodo also has a number of other services available for your online business needs. Whether you need technical support or want to learn more about SSL certificates, Comodo offers plenty of help and support to assist customers on every level. Their user forum is a great place to find answers to frequent problems that you might incur when using a Comodo SSL certificate. There’s also an online knowledgebase section with informative articles on a variety of common topics. For questions or technical assistance, you can get in touch with Comodo experts via live chat, phone, email, or a support ticket. Although a few users have reported of having a bad experience when trying to get help from the support team, Comodo’s customer service ratings and reviews are mostly positive. 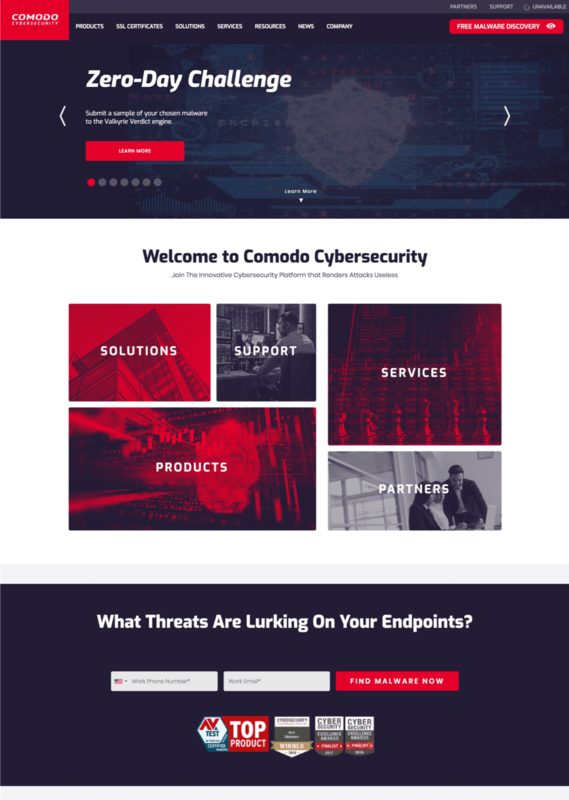 Comodo is a respected name in the internet security industry. This company offers many options for those looking for a reliable SSL certificate provider. From EV to UC to Wildcard SSL certificates, Comodo’s Internet security products cater to both small and large online stores. Best of all, their SSL certificates are priced competitively and they provide the highest level of encryption. What are the Pros and Cons of Comodo? In a rush? Here are the pros and cons at a glance. You can test the free Comodo SSL Certificate, which comes with a 30-day trial period. Comodo charges no upgrade fees. Wildcard SSL help you save money because they secure unlimited sub-domains with one certificate. No faxes or paperwork involved when applying for Comodo SSL certificates. Everything is done online. Most Comodo SSL certificates are issued in less than an hour. However, the EV and Wildcard SGC SSL certificates have a longer validation period. A wide range of price points and features to choose from. Additional charges will be incurred if you want to support more than 3 domains with the UC SSL certificate. Comodo SSL. Industry-leading & trusted. Risk-free 30-Day refunds. Since this topic is far from simple to understand for the non-technical readers, let’s cover some of the most frequently asked questions. Why isn’t my site’s padlock green? Whether the padlock on your site is green or not entirely depends on your adherence to the security standards applied by the browser used by your specific visitor. Can I have more than one trial certificate? A trial certificate is a fully functional version of Comodo’s SSL certificates. As a result, you are not eligible for multiple trials as that would simply be an unpaid service. Some web hosts do of course offer free premium SSL certificates along with certain premium plans. How documentation does Comodo require to be sent? Comodo accepts a variety of documents. The documents accepted for each country’s costumer is entirely different, which you’ll have to research on Comodo’s website. Comodo offers all wide range of SSL certificates and levels of security; EV SSL, Code Signing, Instant SSL, Wildcard SSL and much more at low and competitive prices. For latest and most up to date prices visit Comodo’s website. We monitor tweets about Comodo and apply sentiment analysis to classify tweets as positive or negative. This allows us to output an approval rating score, which is based on real people, positive and negative, opinions about Comodo on Twitter. Comodo approval rating score is 40%. This is based on a total of 5 tweets that mention Comodo on Twitter. There are 2 mentions that share a positive sentiment and 3 mentions that express a negative sentiment. Find out more about how it works. RT @Grokify: Great experience with @Comodo_SSL PositiveSSL server cert and #TLS 1.2. Just $4.99/year from @SSLsCom! Thanks! Great experience with @Comodo_SSL PositiveSSL server cert and #TLS 1.2. Just $4.99/year from @SSLsCom! Thanks! @Comodo_SSL literally just had the worst customer service experience ever. trying to validate my SSL certificate.. apparently no options? Try Comodo. Trusted, high security & low cost SSL certificates - issued within minutes. You are here: Home > SSL Certificate Reviews: Where To Buy The Best SSL Certs For Your Website Now. > Comodo Review: Good Quality SSL Certificates. But Are They Right For You? Previous: Symantec SSL Review: Expensive SSL Certs. We Find Out If They Are Worth It. Next: Thawte SSL Review: Free Unlimited Licensing But Can They beat GeoTrust. We Find Out.